Known as the “New Caribbean”, Punta Cana lies on the easternmost coast of The Dominican Republic and is the fastest growing resort area in the Caribbean. 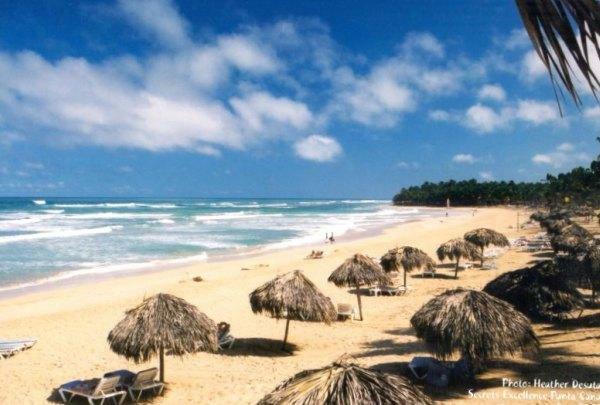 Punta Cana is a nature’s paradise with miles of unspoiled white sugary beaches surrounded by dense palm groves. Secrets Excellence Punta Cana is accessible by both Punta Cana Int’l Airport and La Romana Int’l Airport. Effective December 31, 2006: All travelers, including U.S. citizens, and travelers to and from the Caribbean, Bermuda, Panama, Mexico and Canada, to and from the Americas including Mexico, the Caribbean and Bermuda must have a passport or other accepted document to enter or re-enter the United States. For more information please visit The U.S. Department of State.